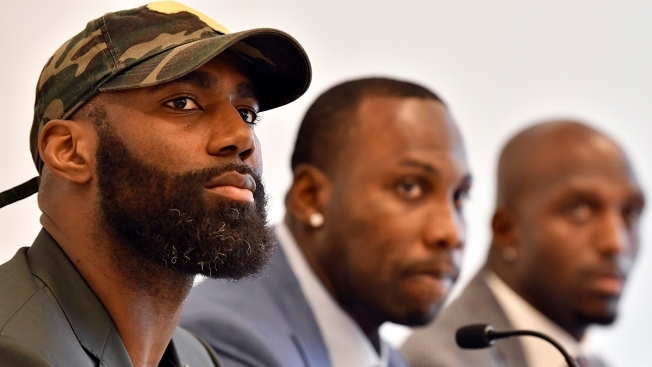 Philadelphia Eagles' Malcolm Jenkins, former NFL player Anquan Boldin, and New England Patriots' Devin McCourty discuss criminal justice issues with other current and former NFL football players at Harvard Law School, Friday, March 23, 2018, in Cambridge, Massachusetts. Malcolm Jenkins, inspired by Philadelphia District Attorney Larry Krasner's election victory last year, is expanding his activism to district attorney races in California. The star safety on the Super Bowl-champion Eagles told NBC10 in an interview that his appearance moderating public discussions in Sacramento Thursday and in Oakland Friday are the initial stops of what will become a prolonged effort to highlight how important district attorneys are to criminal justice reform. Jenkins has long been one of the most socially-minded players in the NFL. He became part of the protests across the league last year that involved many players kneeling during the national anthem. He did not kneel, but he and a few other Eagles raised clenched fists while the anthem played before games. He then took a leading role in forming The Players Coalition, which is working with NFL team owners to push — and fund —social justice reform. One of their main efforts includes combating police brutality against minorities. The Players Coalition is the organizing group behind the candidates' events in Sacramento and Oakland, he said. Jenkins is vice president of the coalition. Former Baltimore Ravens wide receiver Anquan Boldin is president. "When Larry Krasner was up for election, one of the things we did was around raising awareness about what your DA does and how much the public knows that," Jenkins said. "What Krasner has done is encouraging and can be repeated in other areas." "It's important that the public knows about these races and what matters to them," he said. Krasner is arguably the most progressive top prosecutor in Philadelphia's history. During the election campaign in 2017, he promised to reduce incarceration levels, to fight corruption by bringing transparency to his office and to battle injustice by ending cash bail for low-level offenders. His first few months in office have been highlighted by bail reform and the high-profile decision to side with Meek Mill's release on a probation violation. Only one of the two candidates in the Sacramento race showed up Thursday. Noah Phillips, who is challenging current District Attorney Anne Marie Schubert in the June 5 election, talked for 90 minutes with Jenkins and the public in the city's Oak Park neighborhood. Schubert, according to reports, was in Southern California on official business, a spokesman said. Phillips has something in common with Krasner. He recently received a large influx of cash from billionaire George Soros, who has been injecting funding in support of progressive candidates across the country. Krasner was one of the biggest benefactors. The California Justice & Public Safety PAC, which began spending heavily on DA's races throughout the state, has spent $278,000 on Phillips, according to a report in the San Francisco Chronicle this week. Much of that money has come in the last several days, the Chronicle reported. The Soros-funded PAC has spent some $500,000 across California, buying airtime and mailers in contested DA races, according to the news site. Phillips is viewed as the progressive challenger to Schubert, mimicking the outsider reformist rise of Krasner last year. Krasner gained the momentum needed to separate himself from a crowded field of candidates in large part due to some $1.5 million in support from the Soros-backed Philadelphia Justice & Public Safety PAC. Jenkins said he has never met Soros. 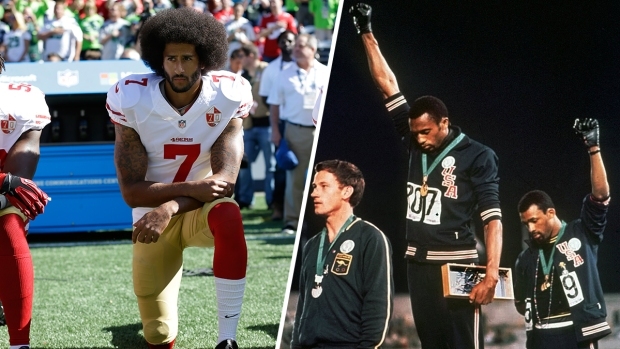 But the football star's interests certainly align with the billionaire liberal's activism. Like Soros, Jenkins has his sights set on district attorney races across the country. "Sacramento is the very first one," Jenkins said. "We will track these races throughout the year and hold some other events in other places too."